The Klea countertop furniture unit is the result of giving importance to volume itself. 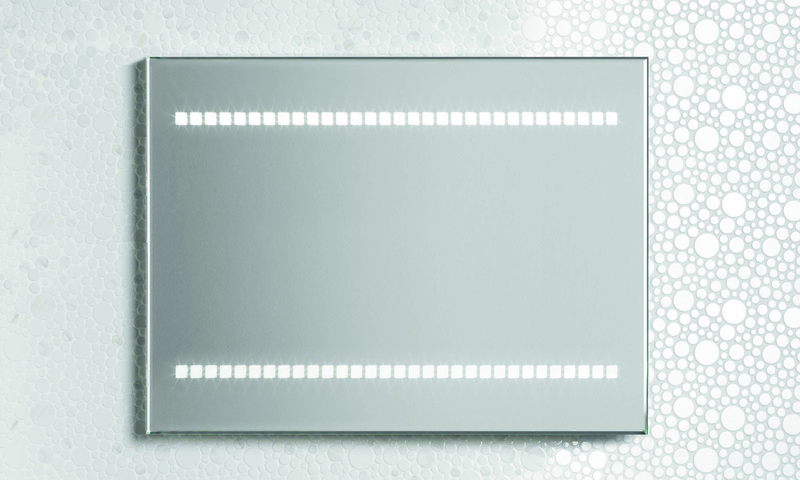 The Klea set transforms itself thanks to the Klea countertop, which, in line with the philosophy of simplicity and minimalism, provides a new concept of style and originality. 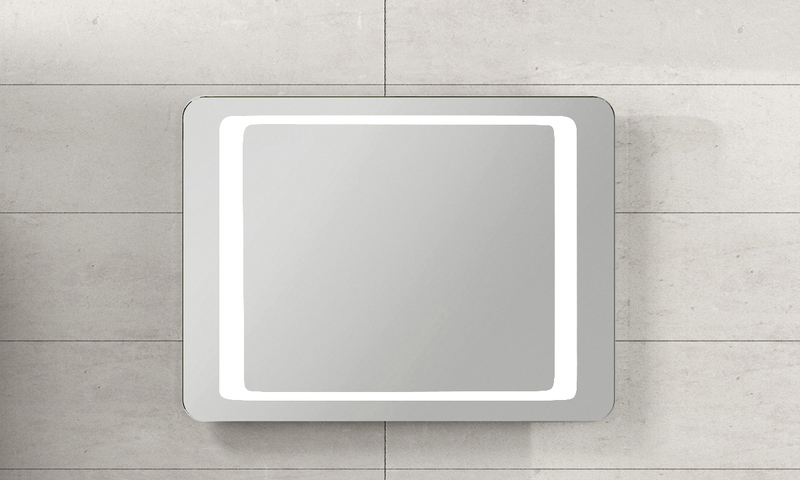 Ágata set for bathrooms defined by their sober fineness. Its fine lines and simple details, the contrasts of straight and curved finishes, make it a modern set that will not go unnoticed in your home. 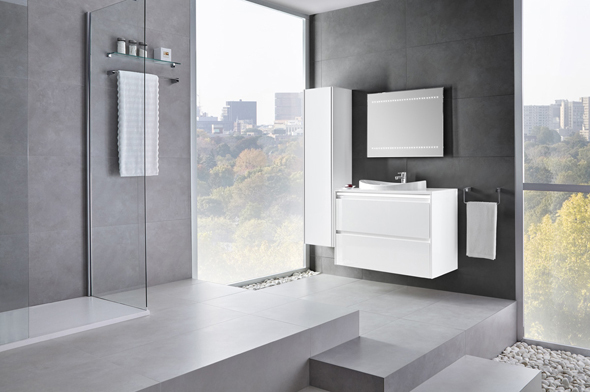 Lightness, style and modernity are the features of a design conceived for a modern and trendy bathroom. 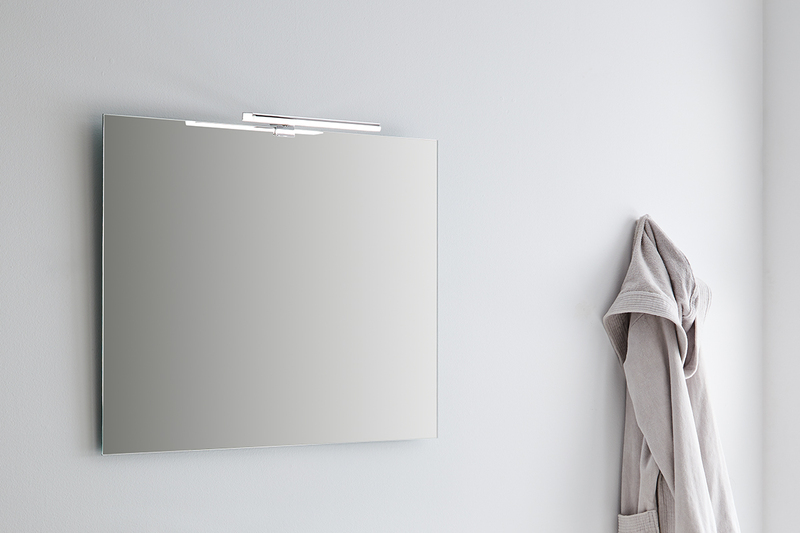 Its straight lines combined with the curved finishes of the mirror and the simple and discreet decoration of the pull handles offer a set with character and with a strong trendy style. A commitment to basic shapes. The simplicity of its details places the JADE collection above and beyond the trends. Its neutral and smooth aspect clearly shows its accurate proportions. A timeless furniture unit, transformed into a modern classic. 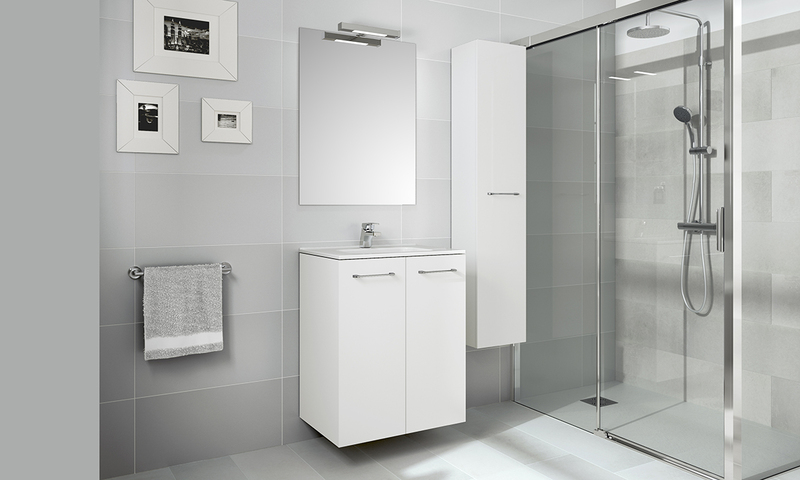 Its style will stay fresh for years, while its functionality will also remain intact. 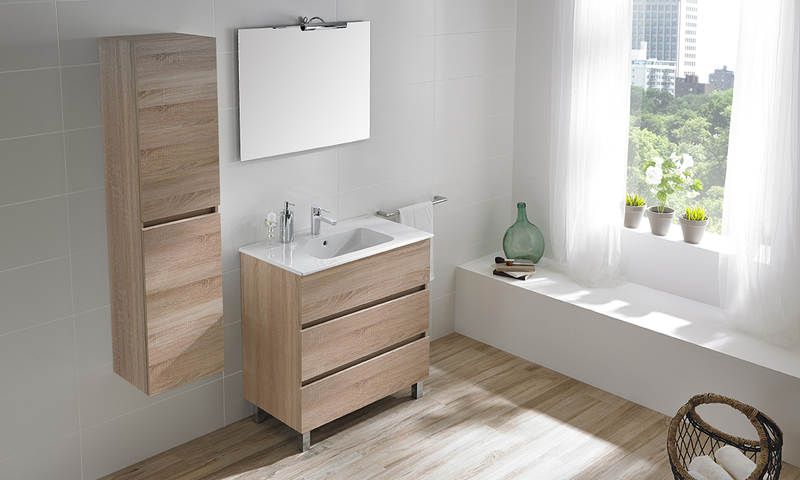 Nura is a basic and practical furniture unit with storage space that will allow you to optimize the space in your bathroom. 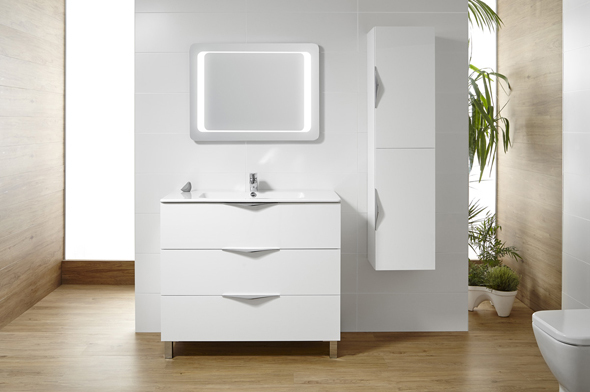 It combines with the wash-basin Smile, with shelves. Created under the same premise as the vitreous china collection, the furniture units EMMA offer a wide range of modern and practical solutions. A new design with rounded edges, two different finishes and an endless choice of combinations make this collection the perfect option in any occasion. CASUAL is a solution that combines perfectly with the current dynamic and cosmopolitan lifestyle. 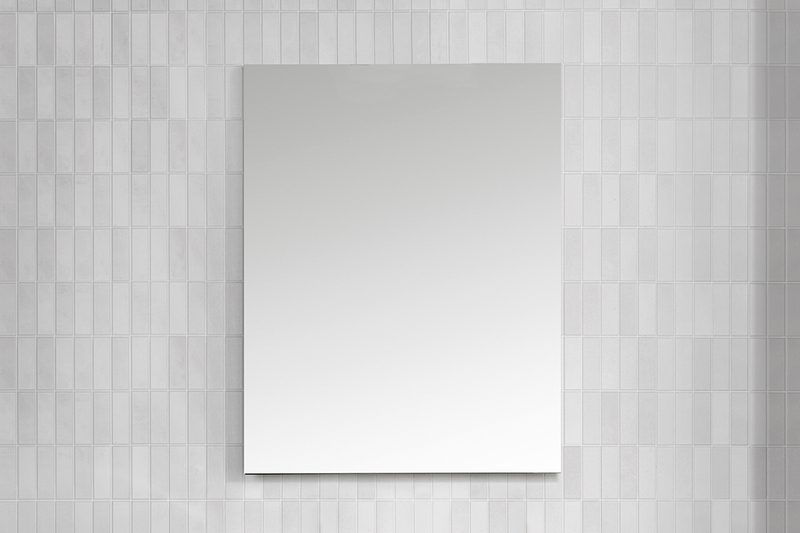 Modern and practical, it emphasizes the geometry of completely smooth surfaces, thanks to the push-to-release drawer. 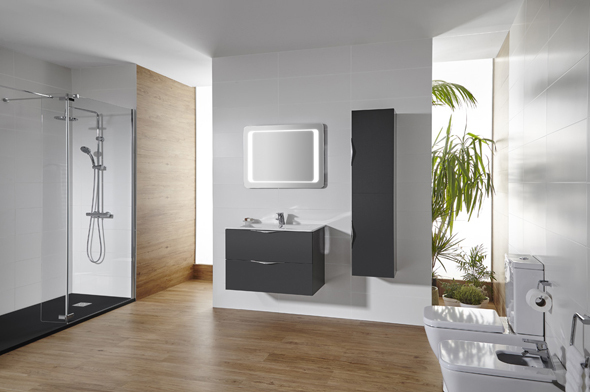 Ligereza, estilo y modernidad, son los atributos principales de un diseño pensado para el baño actual y moderno. Sus formas rectas en combinación con los acabados en curva del espejo y la decoración sencilla y discreta de los tiradores, ofrecen un conjunto con carácter y de marcado estilo actual. 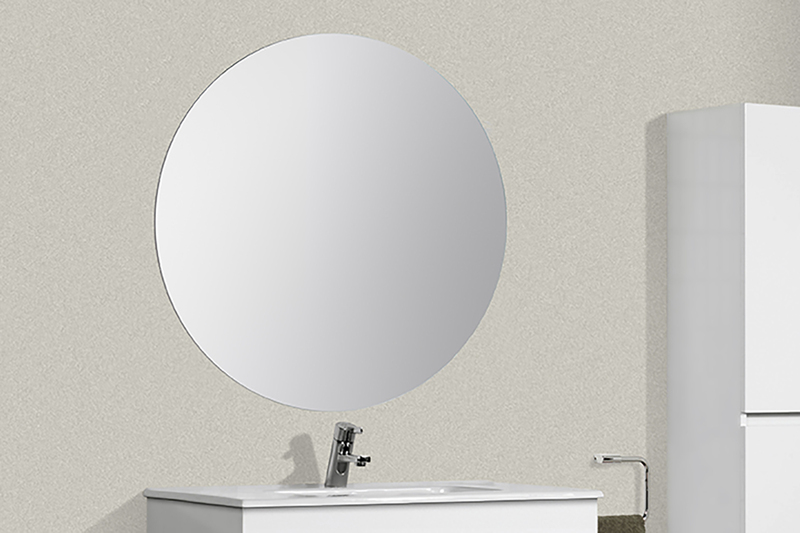 The Lya round mirror, with a simple yet comprehensive design, features LED lighting and demister device. 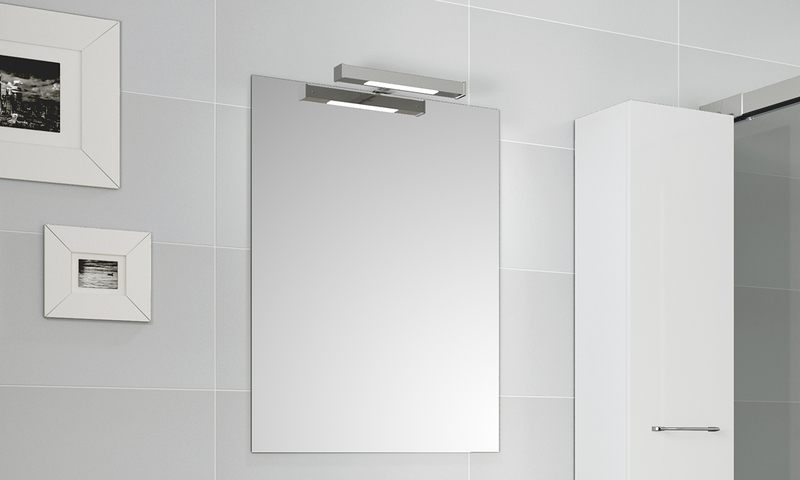 The Addor mirror integrates its LED lighting in a strip with a soft finish, thus combining the straight and curved lines of the ensemble. A collection with a minimalistic design, simple lines that offer a modern design and lighting that adapts to different spaces.